It is one year to the day since I started Gentleman’s Counsel. It has been a great year. I do not know if I was afraid, insecure or discouraged. I was not ready to let the world know my name. So instead, I decided to hide behind an alias. People never know what you are going through. People see me and think I have it all together. That is funny to me! I am learning and growing with everyone else. I am just like you. People have lied on me, talked about me; I’ve been played the fool by women and friends. I have been to the lowest of the low. I have struggling relationships with my family. I have been discriminated against; spirit broken all the way down until it was on life support. I have lost family and friends. I have eaten food out of a dumpster. I have tried to commit suicide. I have lost all love and respect for my life. I have gone through periods of anxiety and depression. I have made some of the worst business decisions in my life. I have disappointed my family and friends. I have lacked self confidence. At one point, I even lost all faith in God; I used to cry every night asking the Lord why me and what I did to deserve this. You think I wasn’t built for this? Do not believe the hype! Sometimes we see the product but never witnessed the developmental stages. God had to break me all the way down to build me up. The more you go through in your developmental stages, the more work God has for you to do. God has a calling on my life and it took me a long time to listen but He finally got my attention. I have been hiding behind “Counselor Dave” because I was afraid of how people would receive my story or my writings. I have been struggling with revealing my true identity but I finally got confirmation from God and He said “Son it is time to move.” So with that being said, for those do not know, Adrian Taylor is Counselor Dave. I will now go forward with Gentleman’s Counsel and promote as myself. You can friend me on Facebook and Twitter to get to know me. If you need someone to speak at engagements or functions; inbox me, I am always ready and willing to motivate. I want to thank people for all the compliments, emails, and love that you have given the site. If I can help one person in this process I have done my job. I love writing and sharing my thought process with people. God said, “Ye not be afraid.” I am no longer afraid for people to know who is behind these words. 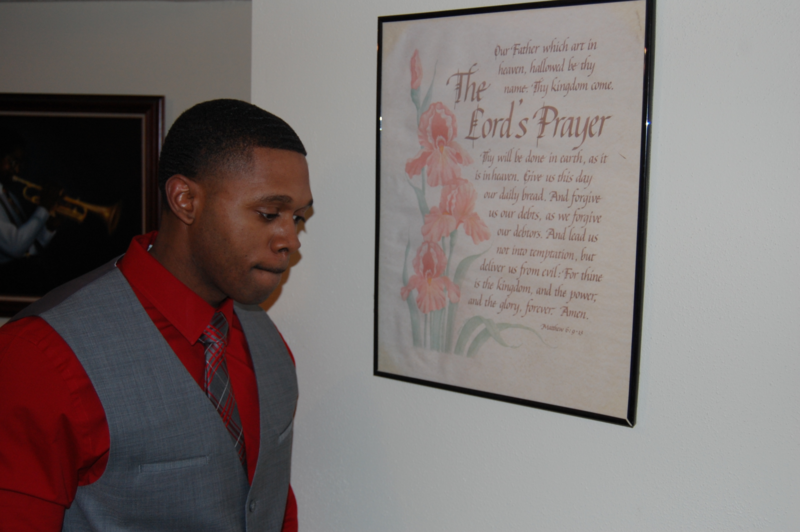 I can do all things through Christ who strengthens me! So just to be clear, I, Adrian Taylor (Counselor Dave), am the main contributor to Gentleman’s Counsel. It has been through the motivation of God, my family and closest friends that have challenged me to live out my dreams and that is what I am going to do. God’s work is never done. 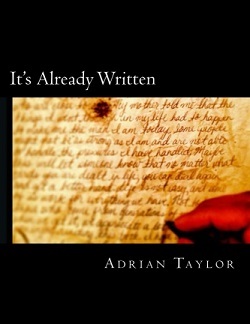 Also my first book will be coming soon titled “It’s Already Written”. 2013 is a Big Year! My man you know how hard it was not to say your name on here sometimes LOL. I think that you coming out is for the best. It gives the people someone they can relate with. Since now they can put the face with the name site. Good stuff. I am proud of you. Keep coming with it. I am happy you finally decided to put the book out as well! We are here. Thank you for the support it is greatly appreciated. Congratulation on your success. This took a lot of courage and I appreciate you for that. Seize the moment GC!